When it comes to septic tanks and systems, it’s pretty much never a DIY situation. A malfunctioning septic system can contaminate Pfafftown drinking water supplies and cause flooding, as well as create sewage backup and biohazardous situations. If you need a septic system installed, pumped or repaired, hiring a certified Pfafftown, NC septic professional is a no-brainer. 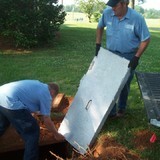 Professional septic tank pumping, grease trap cleaning in the Statesville and Lake Norman area. 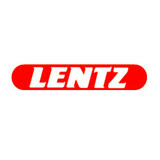 Lentz Septic Tank Service began as a septic tank installation company in 1958 by Roy F. Lentz. Eventually, Roy’s two sons, Keith and Roy Jr., both joined the business. In 1975, they recognized the growing need for septic system pumping and repair service, so Lentz Septic Tank, Inc. was born. Currently, Keith Lentz owns and operates the business, and continues to operate a pump truck to service any septic system need. Keith manages the scheduling and pumping operation, and is a highly trained professional who services residential and commercial septic tank needs. Lentz Septic Tank Service offers emergency pumping and repair service, and we do our very best to accommodate our customers’ schedules. Our experienced technicians are courteous, efficient and professional. An added bonus is that when you call during business hours, you will get to speak to a live person without having to push buttons to finally talk to someone. Regular septic tank pumping service is highly recommended, if not essential, to the extended life of your septic system. There are many reasons for septic system failure, most commonly are improper use and lack of periodic cleaning or pump-out of the septic tank. Septic tanks are designed for solids to settle and form a sludge layer at the bottom of your tank. Over time, if your tank is not properly maintained, this sludge or solid material will eventually clog your system, causing premature system failure. You can prevent most septic problems, and save on costly repairs, by having your septic system regularly maintained by Lentz Septic Tank Service. Lentz Wastewater Management is the third generation of the Lentz family to work in the Septic system field. We perform septic system repair, septic tank repair/replacement, drain field repair/replacement, septic system installation and more. We possess the knowledge and experience necessary to be the best in our area. A family-owned and operated company, we pride ourselves on providing prompt and professional service for all your septic repair needs. We have achieved and maintained an impeccable reputation over the past 20 years. 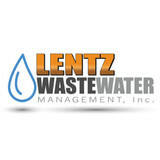 Lentz Wastewater provides quality and conscientious services to clients. Our goal is to maintain communication at all times in order to establish the needs of the clients we serve and then meet those needs. Regardless of the size of the septic repair or septic installation project and the needs of our clients, we will implement the steps necessary to deliver quality workmanship on all septic repair and septic installation jobs. Jarrid Lentz formed Lentz Wastewater Management, Inc. in 2000 to repair, update and install septic systems. All Lentz Wastewater employees are knowledgeable about Septic systems. Our commitment to continuing education enables us to stay up to date on current regulations within the industry. We possess the knowledge and experience necessary to be the best in our area. As a family-owned and operated company, we pride ourselves on providing prompt and professional service for all your septic system needs. We have achieved and maintained an impeccable reputation over the past 20 years. 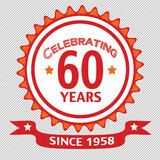 Gann Brothers Septic Tank Service, Inc. has been in business since 1967. We install new systems and repair old systems. We recommend pumping your septic tank every 3 to 5 years.